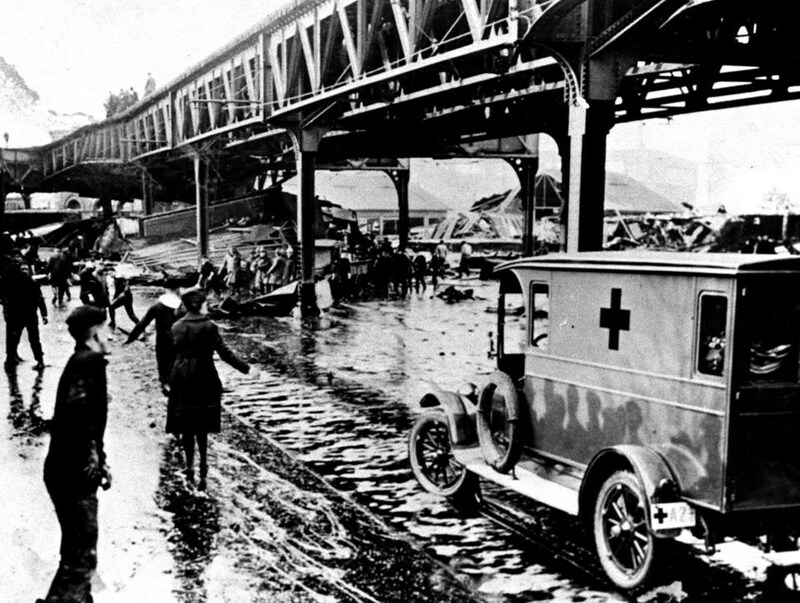 The above image is from the Great Molasses Flood of 1919, an industrial disaster in Boston, MA where a tank of molasses burst, releasing a 15 foot tidal wave of the stuff that submerged two city blocks and killed 21 people. The cause of the accident is still a matter of some debate nearly a century later (a recent article speculates that it was the composition of the iron itself that made it likely to crack). I’ve always found disasters strangely compelling. I’m fascinated by the Titanic, by the Challenger, by Chernobyl. And considering the many movies, books, songs, etc. about such things, I’m not alone. What is it that attracts us to disasters? Maybe it’s the aspect of the unknown. The people who died had an experience that both terrifies and attracts us, which is why we are interested in individuals, and in what we know about their last moments. Maybe it’s like a ward against the unknown. If we learn about these disasters, then maybe we’ll have some sort of edge when the unexpected and deadly happens to us. Or maybe we’re just interested in fate, in the inescapable. In the things we cannot avoid, even if we try. I hear that o hot summer days in Boston, you can still smell the molasses. I know I’ll be taking a deep breath the next time I’m in town.